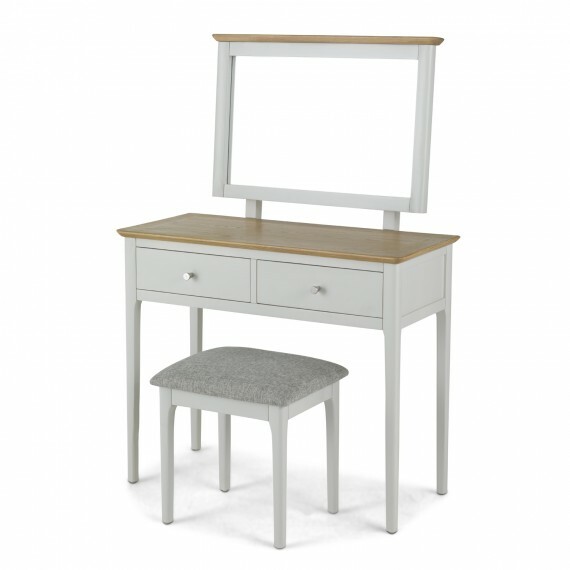 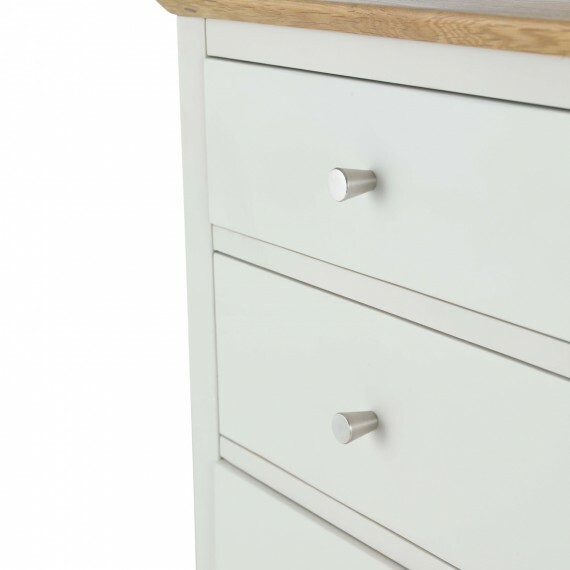 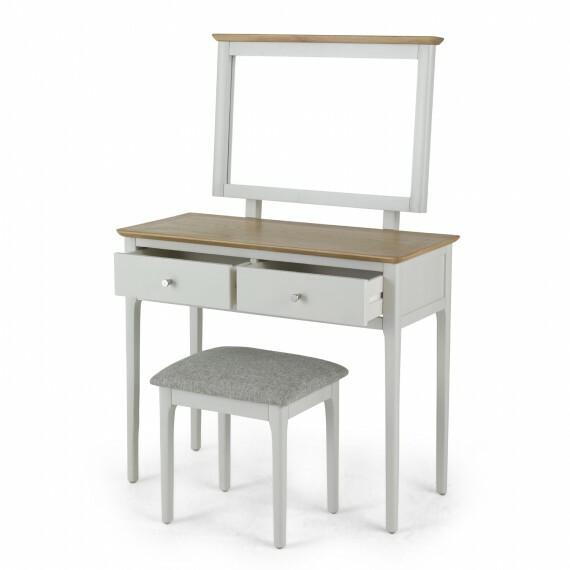 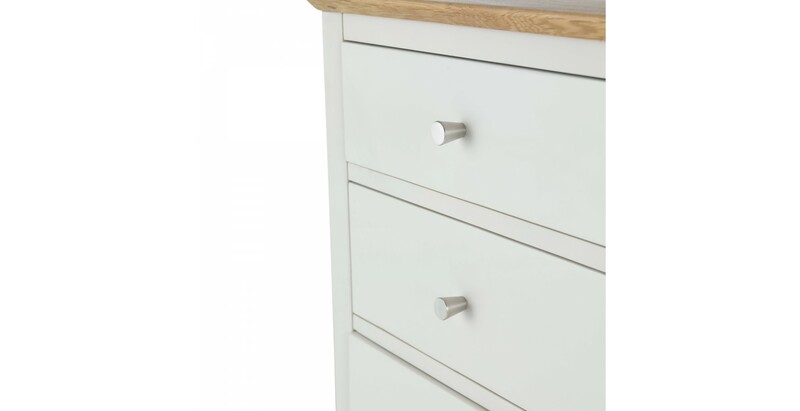 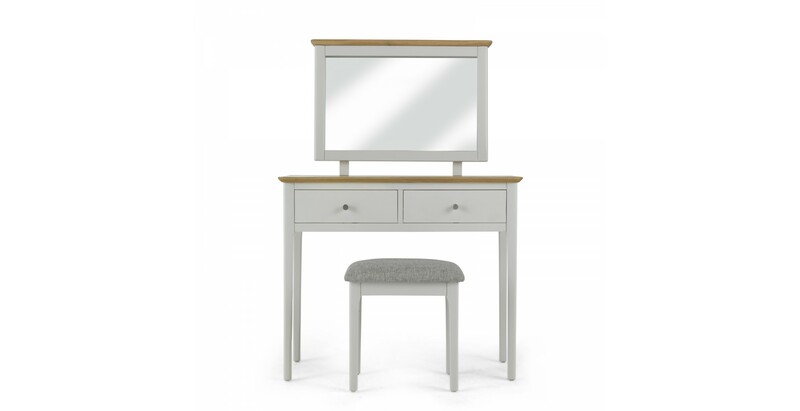 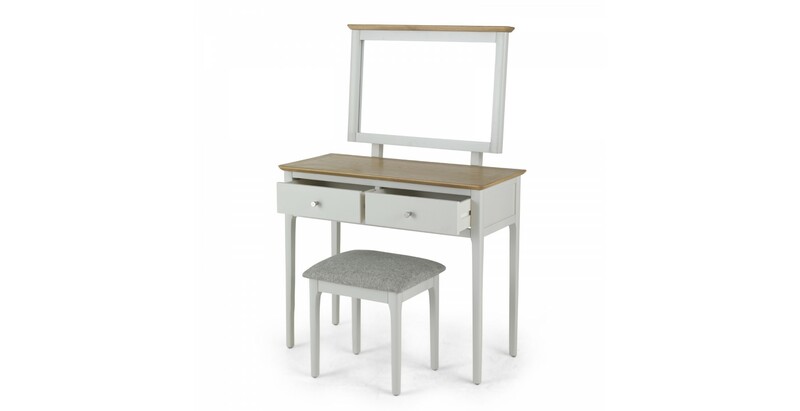 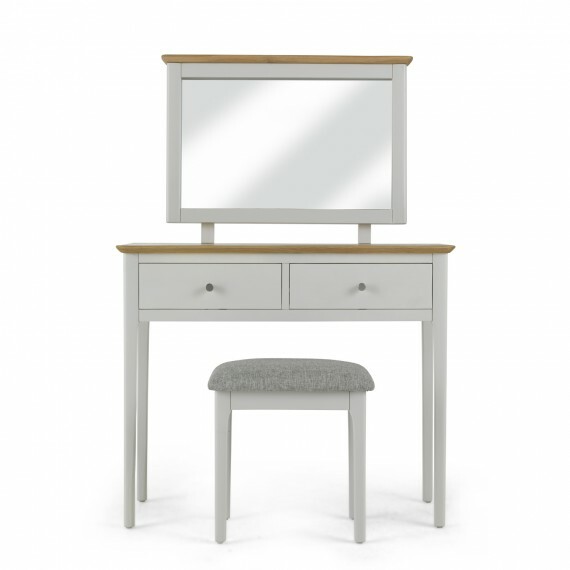 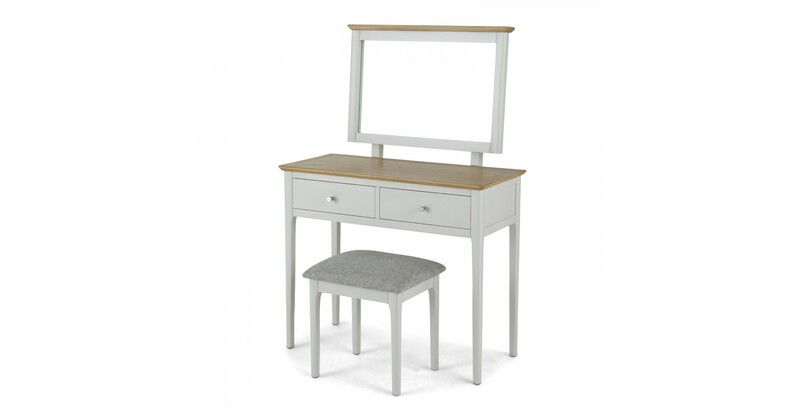 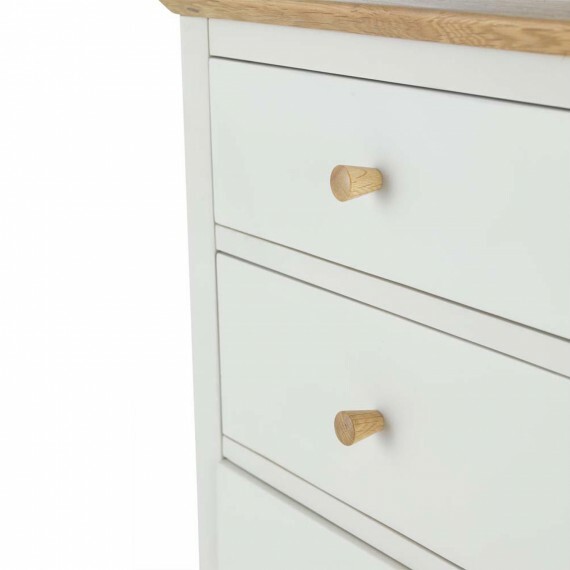 Without appearing plain or lacking in character, this lovely pale grey-painted set manages to stay true to Shaker principles while still offering a beautiful piece of furniture to admire. 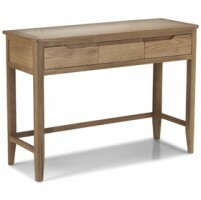 Elegance personified, its clean lines are softened with gracefully curved edges on the tapered legs, and rounded corners on the contrasting waxed oak and oak veneer top. 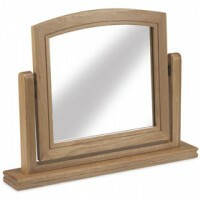 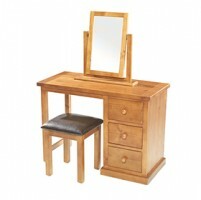 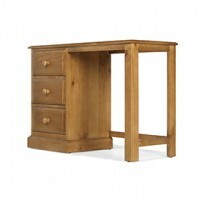 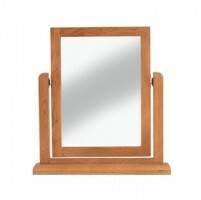 The table incorporates a generously sized mirror and has plenty of room for perfume bottles and jewellery boxes. A compact yet comfy stool completes the set, and so you can accessorize the drawers to your personal taste, you get sets of both wooden and metal handles.